The Twlawyer may have an *app* to tweet when he is asleep… but there are dangers! I enjoy blogging (although I do, occasionally, wonder if I would be better off buying a horse, a lance and a windmill) and – as Brian Inkster’s excellent UK Blawg Review #6 reveals – an encouraging number of lawyers have continued to or have taken up law blogging. This is a good thing. As I have no law practice to *flawg* ( a term coined by Antonin Pribetic of The Trial Warrior, as far as I can determine) I can write about matters which interest me or indulge sardonic thoughts about the worst excesses of the legal profession through Muttley Dastardly LLP and…. The Twlawyer…without the cosh of having to please an editor or client…. or, indeed, anyone at all. So…. was Faulkner right? Is is Pointless? It may be ‘pointless’… but it is not ‘without point’. I can’t really be bothered with a growing fashion in Blogs to dispense advice state the bleedin’ obvious through *Top 10 points for lawyers to consider blah blah* or to dispense solemn advice on *what and how to do it*... I leave that, happily, to the mavens, dispensers, prognosticators , flawgers et al. A sardonic smile flickers at the corners of my mouth – no more than a flicker – when I see the pedigree of some of these mavens on the blogosphere and twittersphere dispensing away and file it away in my mind. All parodists, even amateurs like “Charon QC”, need good source material and inspiration – so I would not wish these denizens of the net to ‘cease and desist’. Fortunately, most readers will be able to sort the wheat from the chaff… and there is a fair bit of chaff. As Gordon Brown said…. some of this chaff started in America… but we are not slow in the UK in picking up the baton and running riot with it. The Twlawyers are coming soon to a twitter timeline near you. Caveat emptor? (For overseas and sane readers… QVC is a reference to the QVC shopping channel on TV) I I enjoy ‘messing with heads’ as well…. “If I was…If I were” (?) And.. here – Ain’t lingo interesting? This matter is now in the public domain. If the judge is guilty as ‘charged / alleged / reported’ by The Daily Mail, then one may be reasonably confident that the matter will be dealt with appropriately by the appropriate authorities – The Office for Judicial Complaints. The judge has complained to the Press Complaints Commission – it is reported. Is it, however, fair to ‘try’ a judge in the press in this manner? I don’t think so. I can’t see the ‘appropriate authorities’ being swayed in any way by the Daily Mail report. So what purpose do such reports before legal action have? To whip up hatred and / or irritation among a ‘readership’ for our judiciary? That is hardly in any of our interests. To pressurise judges in their sentencing? (Are judges swayed by public opinion when it comes to sentencing? They say not. Perhaps subliminally?) Again, it is not in our interests for any one section of the community, a powerful elite of newspapers, to sway / attempt to sway the judiciary. Judges have to act within the laws made by parliament, within the sentencing guidelines, and if they don’t, then there are already good appellate and investigatory mechanisms in place to correct this. While it is very much in the public interest that our judges dispense justice according to law and observe a higher code of behaviour than we impose on many, I would prefer to see cases of judicial misbehaviour or incompetence dealt with by the appropriate authorities first and then, if charges are proven, for publicity to be given to the matter. Or…is it the case that without the fearless reporting of the tabloids, these matters would not come to light? If the answer to this question is in the negative, then it does not seem unreasonable to me to suggest that complaints against judges should be regarded as a special case and not be subject to press speculation and coverage before the matter has been dealt with by The Office for Judicial Complaints. Unfortunately, mud sticks to the innocent as well as the guilty. Mind you, is there really a need for judges to be a special case? The Attorney-General has warned the press recently in relation to coverage of criminal matters generally to ensure a fair trial. Anyway… just a thought… not a prescription. As an adjunct to blogging, I get a great deal of pleasure from talking to lawyers in podcasts – and I am grateful to all who participate. On Wednesday evening last week, David Allen Green and Carl Gardner came over to The Staterooms for our fortnightly Without Prejudice series of podcasts. (This week: Libel, hyperinjunctions, Lautsi v Italy, Expert immunity and Interns) We sit around a small table, drink wine and talk about topical issues. Judging by the response and the downloads, people seem to enjoy them. We don’t have all the answers; but we are having a go at provoking interest, comment and thought. On Friday, I did a podcast with Baroness Deech, Chair of The Bar Standards Board. We talked about the regulation of legal education, regulation of the profession and the changing legal landscape. Baroness Deech is a very experienced academic lawyer and it was a pleasure to discuss very topical issues with her. What, for me, is the point of law blogging etc? I have come to the conclusion that the ‘point’ is to provoke thought, comment and interest. Politicians may be prescriptive. I tend to find that debate is more persuasive… the old thesis, antithesis and synthesis schtik may have some value after all! 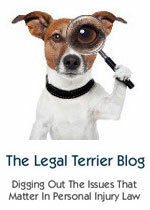 The Twlawyer asks lawyers…. Are you Linked IN?.. Do you have KLOUT?! Something sensible…coming later…. but the saga of the schmarketers will continue…. where would we be without their schmooze and schtik on twitter? Are You A Legal Expert? Really? The Twlawyer says…. POWERTWEET! … morning, noon and night! The Twlawyer has landed! – A superhero for our times! Coming soon… the adventures of a superhero for our times…… a man who thinks only for and of himself…. selflessly out there…. a story in 140 characters! AND this…from a fellow tweeter…. one of the many reasons why I enjoy twitter! I may have had too much time on my hands today. I shall return to more sensible posts about law, later in the day.